Canada's health care system allows Canadians to visit their doctor and obtain medical services free of charge. But when it comes to filling their prescriptions, many uninsured Canadians struggle with the cost. Policy makers are aware of the challenges. Canada’s federal, provincial, and territorial governments are looking into options to help make prescription drugs more accessible, affordable, and appropriately prescribed. 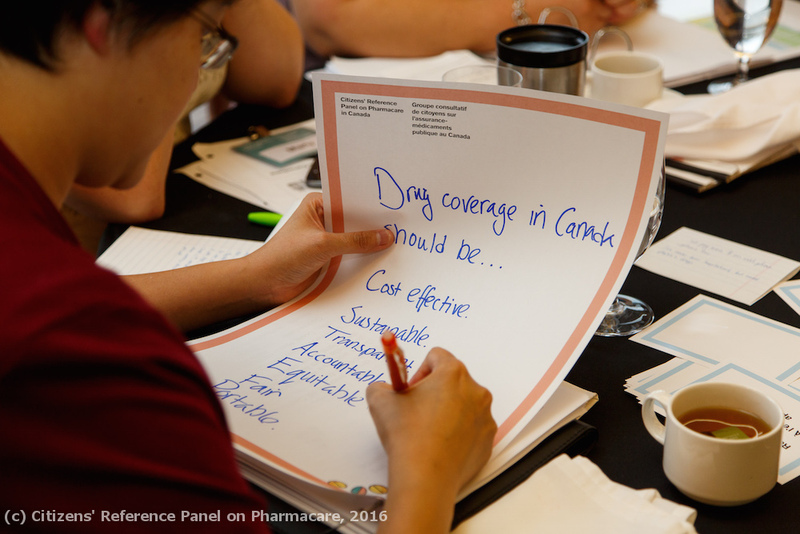 In October 2016, we invited 35 randomly selected Canadians to meet in Ottawa to consider whether there are better models that can improve access to prescription drugs. 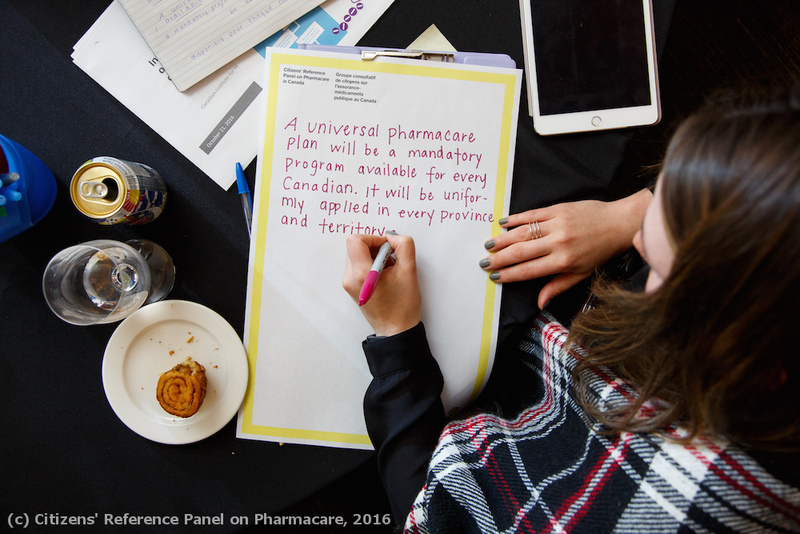 Over five days, this group heard from a range of experts, examined different options, and, together, developed a clear set of recommendations for Canada's health ministers and policy makers. The panel's final report containing its recommendations will be shared with the federal health minister, her provincial and territorial counterparts, as well as other researchers and stakeholders. 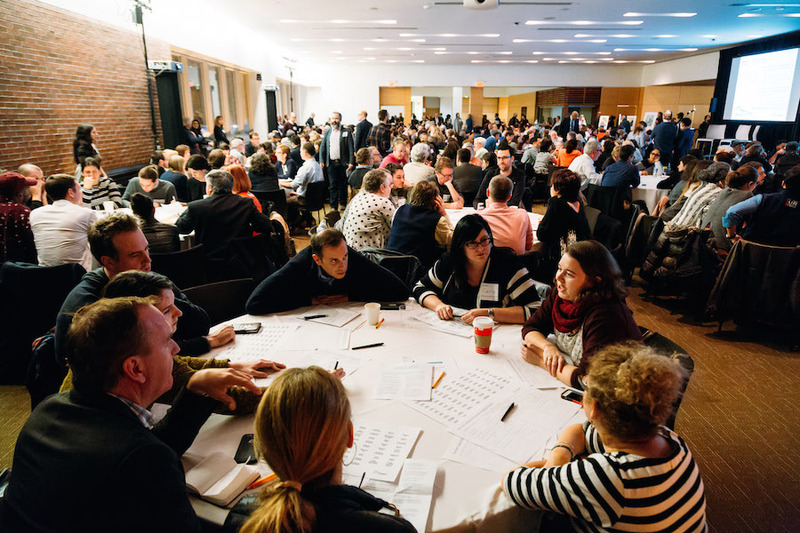 Last spring, the Toronto Arts Council (TAC) commissioned MASS to help develop its first strategic plan. But contrary to the fashion for short three and four year plans, we urged TAC to take a longer view and develop a three phase plan that would help guide the organization through its next decade to 2025. Working alongside senior TAC executives and its board, we met with more than 100 stakeholders and arts champions, authored an optimistic discussion paper called "On the Bright Side", and welcomed our friends Shelagh Wright and Peter Jenkinson — two of the UK's foremost creative strategists — to share their unique international insights. The result is a plan that distills TAC's work to its essence in four priorities and issues a call for recognizing all Torontonians as "Arts-makers." We think the plan is exciting, ambitious and resolutely civic-minded in its outlook. You can download your copy here. This past April we collaborated with the Ministry of Tourism, Sport and Culture to host the first annual Ontario Sports Symposium for amateur sport on April 30th. Working closely with the Ministry, MASS brought together over 200 coaches, players, trainers, and administrators for a full-day event to discuss the implementation of Game ON: Government of Ontario's Official Sports Plan. Game ON, a legacy of PanAM, aims to improve Ontario's amateur sport system through increased participation, athlete development, and encouraging excellence. 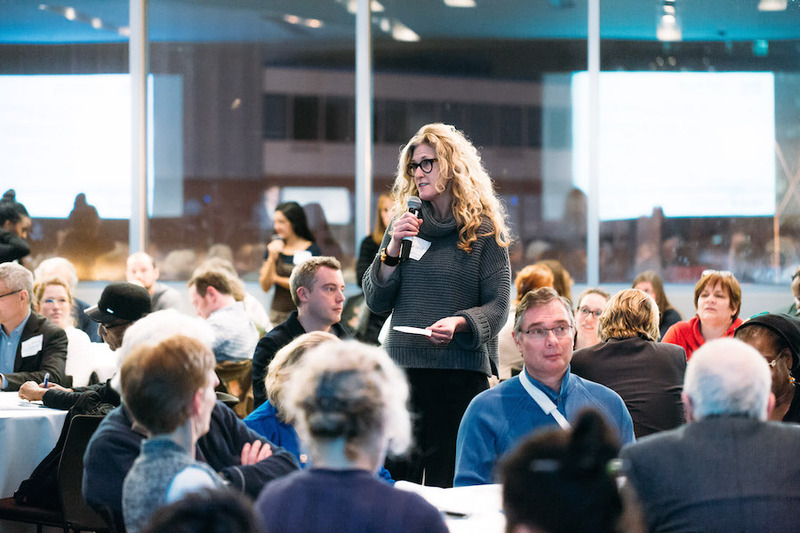 Inspired by the successes of the Insite Supervised Inject Site in Vancouver, the City of Toronto set out to consult the public about the inclusion of similar services within existing community health centres. The Works, Queen West — Central Toronto Community Health Centre, and South Riverdale Community Centre are the proposed homes for the harm reduction services. These services will provide hygienic environments for people who inject drugs to do so under the supervision of a trained nurse. In addition, users will be provided improved access to other health services. MASS LBP worked with the aforementioned community health service providers to design and manage a consultation process that included: large public events, focus groups, and a large-scale online survey. The focus of the consultations were on documenting and reporting the perceived benefits and concerns regarding the inclusion of supervised injection services in the community. In July 2016, Toronto City Council voted in favour of the creation of the three proposed SIS sites. St. Michael's Hospital has adopted a new strategic priority of providing comprehensive health services to all local residents in central-east Toronto. MASS LBP was commissioned by St. Michael’s to strike a Residents’ Advisory Panel to determine how the hospital should respond to the diverse needs of the local community. In February of 2016, 5,000 randomly selected households across the community received a Civic Lottery invitation in the mail, asking for a resident to commit their time and volunteer on the Panel. From the 371 respondents, 28 Panelists were randomly selected to take part in the process. The Panelists represent the age, self-identified gender, and geography of the region. To date, the Panel has reached consensus on a set of guiding principles and priorities, including the design of an accessible information service for patients. Keep an eye out for the Panel's first major report in late summer of 2016. The weather's warming up, and we've got an exciting spring coming up! Read all the news from 392 King in our March 2016 bulletin. (And you can sign up to receive our bi-monthly bulletins here). Last year we dusted off our fancy clothes and introduced the world to Wonk Prom, Official After Party of the Public Policy Forum’s Annual Testimonial Dinner. With wonk friends from across the country, we unleashed a night of dancing, drinks and fun. Do anything twice and it becomes a tradition, so how could we resist the opportunity to reset and relaunch. This year we’ve teamed up with our friends at the Toronto Symphony Orchestra and Samara Canada. So re-tape your glasses, put away your pencil set, and join us in the glittering foyer of Roy Thompson Hall immediately following the PPF’s Annual Testimonial Dinner on April 7th. Tickets are just $25 and include one free drink. Buy yours now at wonkprom.ca. 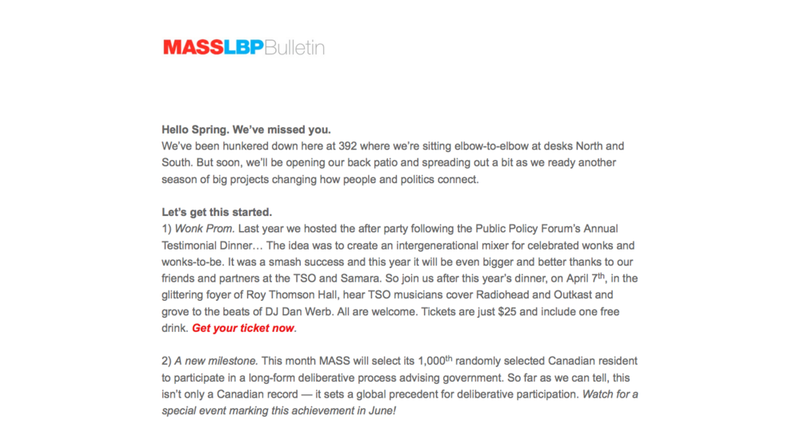 And don’t worry, you don’t need to attend the PPF dinner to attend Wonk Prom. All wonks and friends-of-wonks welcome. MASS LBP decided to brave the mid-January cold, and took some friends along to explore part of the Project: Under Gardiner site. This walk was led by our own Jane Farrow, and included 35 attendees from various organizations across the city. Our guest from NYC, Susan Chin (Design Trust), was given a quick introduction to the project by the designers themselves, Marc Ryan and Lauren Abrahams, of Public Work. We were truly struck by the quiet spaces we found, and by the “percussive quality” (as one attendee put it) of the traffic when underneath the Gardiner. We’re looking forward to watching this space evolve, especially after seeing it through the eyes of Public Work. 2015 has been busy for MASS! As we enter our eighth year, we've taken a moment to look back at our accomplishments over the past six months. 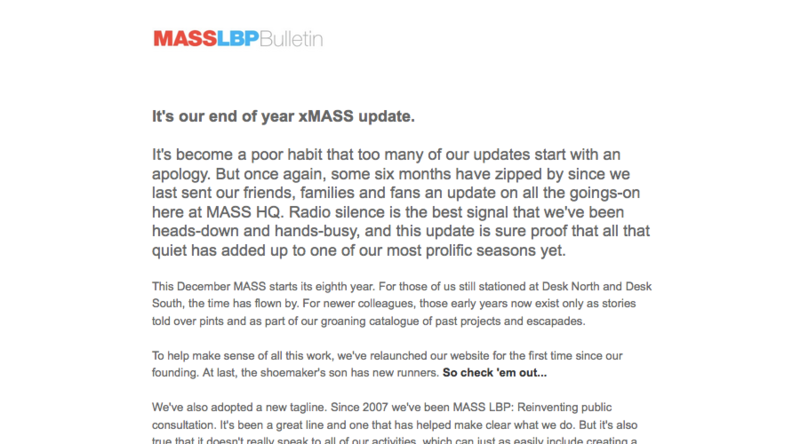 Read our 2015 xMASS update here. This fall, Jane Farrow and Caitlin Myles criss-crossed Ontario hosting a series of 11 Culture Talks for the Ministry of Tourism, Culture, and Sport. These public consultations will inform Ontario’s first ever culture strategy. Each evening began with an on-stage interview led by Jane Farrow with authors, poets, musicians, and other cultural luminaries about the role of culture in their lives, the community, and the province. These discussions set the tone for the rest of the evening, where participants engaged in a series of self-guided small group activities to generate recommendations for the culture strategy. The Culture Talks attracted crowds across the province - averaging 100 participants at each, and drawing some 375 in Toronto. Read more about Ontario’s culture strategy, and read the Windsor Star article describing the final Culture Talk event at the Art Gallery of Windsor. The Toronto Planning Review Panel is a group of Toronto residents brought together to learn about, discuss, and provide input to City Planning staff on important city planning issues. MASS LBP was commissioned by the Toronto City Planning Division to randomly select the twenty-eight volunteer members of the Panel in a manner that represents the diversity of Toronto’s population. After four training sessions in October and November 2015, designed and hosted by MASS, the Panel will meet six times per year over its two-year term. The Panel will develop its input as a group and will work to reflect the interests of all Torontonians. The Panel’s perspectives, insights, and priorities will be referenced in reports to Council and published on the City of Toronto’s website. Click on the left to see the video introducing the panel. To learn more, visit the Toronto Planning Review Panel page at the City of Toronto website. Calgary is among the fastest-growing cities in North America, and leads Canada in population growth. As Calgary grows, the cost of building and maintaining municipal infrastructure is growing too. What infrastructure investments are needed to maintain a high quality of life in Calgary? How should residents, businesses, and users pay for the City’s expanding infrastructure needs? The Citizens Commission on Municipal Infrastructure brings together 36 randomly selected Calgarians over 6 Saturdays from September to November 2015 to answer these questions. The Commission will develop recommendations outlining the infrastructure priorities for residents of Calgary and the revenue tools the City could use to pay for them in a fair and sustainable manner. MASS LBP was contracted by the Calgary Chamber to design and host this important public process. To learn more, visit the Citizens Commission website. 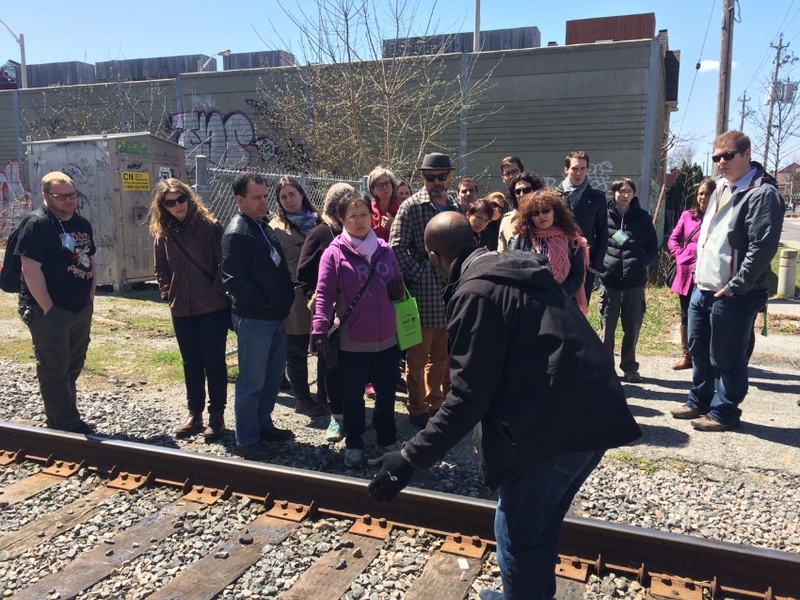 Walkshops are an immersive, participatory method of gathering input and expertise on community and policy issues. 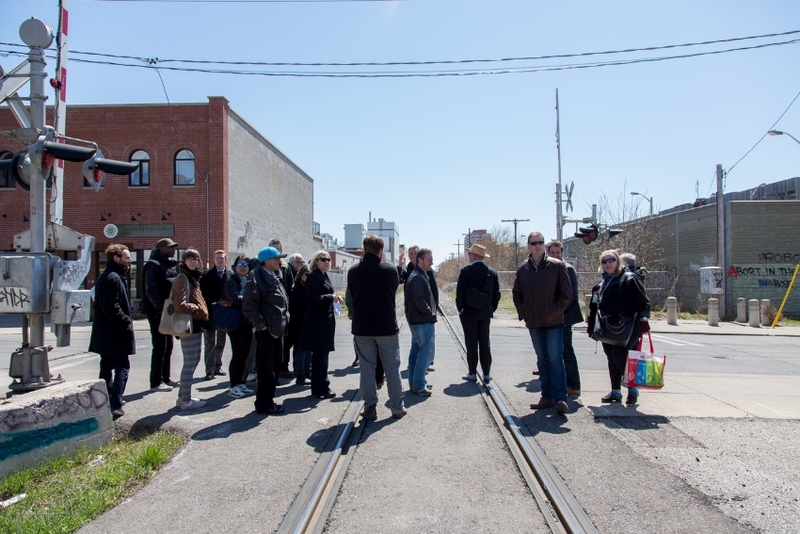 It’s a site walk with a stated objective of exploring local concerns and design solutions together with a wide array of interested parties - residents, business owners, social service providers, planners, designers and elected officials. Walkshops deepen engagement by pro-actively tapping into the breadth and depth of knowledge people bring to important planning and policy concerns. Walkshops are led and facilitated by Jane Farrow, founding director of Jane’s Walk, a global volunteer walking tour movement that builds on the legacy of urbanist Jane Jacobs’ ideas. Farrow researches and prepares a route and set of discussion topics for each Walkshop aimed at educating and inspiring participants to consider closely the type of community and infrastructure they want and need. Notetakers capture feedback and local expertise, weaving it into consultation reports and recommendations transparently.